"How do I know which foods with protein are right for my vegan diet?" This is one of the biggest questions those who eat a plant-based diet run across. Most of us are raised eating meat and other forms of animal protein. So when you take these proteins out of your diet, you might find yourself suddenly plunged into the depths of confusion and uncertainty. It's important for you to know that you ABSOLUTELY WITHOUT A DOUBT can meet your needs for protein in a plant-based diet without protein supplements. And it's not difficult at all. 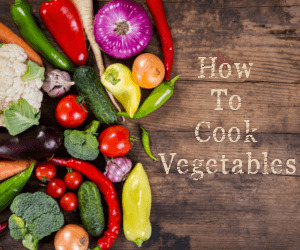 But it IS important for you to understand not only which foods will meet your protein needs, but also how many servings you should eat, and finally how to select and prepare these protein-rich foods. Protein is found in all plant foods, including vegetables, grains, legumes (such as beans and lentils), soy foods, nuts and seeds. 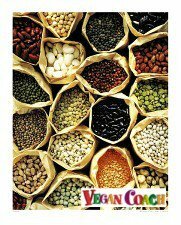 This page, however, focuses on the PROTEIN POWERHOUSES -- legumes, soy foods, nuts and seeds -- which give you the biggest protein bang for the buck, and are really the backbone of protein sources in the vegan/vegetarian diet. 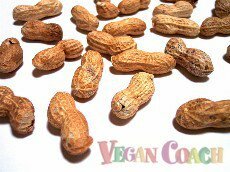 Guide to vegan protein powerhouses - Start here! How much protein do plant-based foods contain? Adding protein to your daily diet. Learn how to select, clean and prep, cook and flavor your favorite foods with protein to help you stay strong, energetic and beautiful. There are so many varieties of beans, you will never get bored with them. This is a complete guide to beans. They're so versatile and they fit into just about any dish and any cuisine out there. 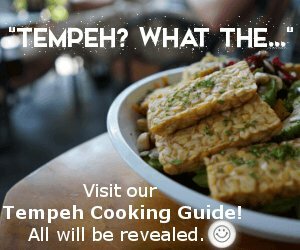 You can do almost anything with tempeh that you can do with tofu. But it's a healthier type of soy because it is fermented which makes it easier to digest & the nutrients are more readily available. Always buy organic tempeh and other soy products. Don't forget nuts and seeds to add nutrition and crunch to any dish. Everyday creative cooking -- without recipes! Support on your plant-based journey. "I get your newsletter all the time and I want you to know that I look forward to it every time. You have answered all my questions about becoming vegan and now my husband and I are about two-thirds of the way there." "Just wanted to say how much I love your newsletter and being a VEGAN! I feel great, I look better, and people are starting to NOTICE! Whooooo-hooo! Thanks, and keep the newsletter coming!" "I just wanted to compliment you on the great newsletter! I came across your website just a few weeks ago. I just love reading what you have to say." How Much Protein Can I Get From Vegan Food? Next, let's discuss these powerful protein sources. BEWARE: You will encounter some technical terms such as "grams of protein". But fear not, my friend, because it will all become clear in the end. Legumes top the list for great sources of plant-strong foods with protein. 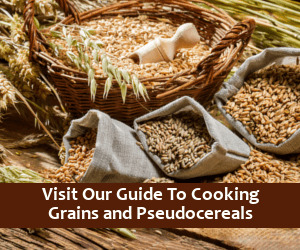 These include beans, lentils, and organic soy products such as tofu and tempeh. 1 CUP OF MOST COOKED BEANS AND LENTILS contains right around 15 grams of protein. 1 CUP OF COOKED ORGANIC SOYBEANS contains around 30 grams of protein. 1 CUP OF FIRM ORGANIC TOFU contains about 40 grams of protein. 1 CUP OF TEMPEH contains approximately 30 grams of protein. 1 CUP OF SEITAN contains approximately 52 grams of protein. I like seitan -- but I consider this a "fun food" and don't recommend you base your everyday diet on this protein source. That's because it's high in wheat gluten, and is difficult for most people to digest. 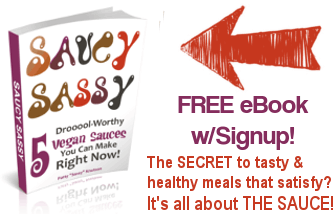 Meat analogues made with soy (fake meats) are another option for you to consider. Personally, I try to eat very little of them because they're not a whole food, which as you may know is what I recommend. But if you DO want to add these to your diet, PLEASE do so sparingly. Try to base your diet on whole foods with protein versus these highly processed soy foods which are usually loaded with sodium and many times are not organic -- and it's really important to try your best to eat organic soy. Read the labels to determine how much protein you will find in these foods. 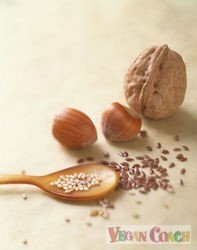 Nuts, seeds, and their "butters" are also fantastic foods with protein that you should include in your diet. 1/4 CUP OF MOST NUTS can range anywhere from approximately 4 grams of protein to 8 or 9 grams. 2-3 TABLESPOONS OF SEEDS provides around 8 grams of protein, with the exception of FLAX SEEDS which will provide you with around 4 grams. 3 TABLESPOONS OF TAHINI provides you with 8 grams of protein. An average person (meaning with no out-of-the-ordinary physical requirements) needs approximately 1 to 1.2 grams of protein per kilogram of body weight. Without getting you TOO bogged down in the finer details, I'd like to give you a quick overview of how much protein you need for your good health. One pound equals .45 kilograms. 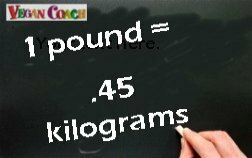 To figure out how many kilograms you weigh, simply multiply your weight by .45 (point 45). So if you weigh 105 pounds, that means you weigh 47.6 kilograms. And since an average person needs approximately 1 to 1.2 grams of protein per kilogram of body weight, then you would shoot for right around 47 grams of protein per day on the lower end and 57.6 grams on the higher end. If you weigh 150 pounds, you weigh 68 kilograms. And since an average person needs approximately 1 to 1.2 grams of protein per kilogram of body weight, then you would shoot for approximately 68 grams of protein per day on the lower end and 81.6 on the higher end. If you weigh 210 pounds, you weigh 95.3 kilograms. And since an average person needs approximately 1 to 1.2 grams of protein per kilogram of body weight, you would eat around 95 grams of protein per day on the lower end and 114.36 on the higher end. Now, what if you're trying to lose weight? Should you calculate the amount of protein based on your present weight, or your desired weight? If weight loss is your goal, then calculate according to your desired weight. This is because excess protein (as well as excess carbs and also fats) store in your fat cells. "Help! I Don't Get It"
...FOR THE REST OF MY LIFE?!?!?" I completely understand how you might be feeling at this moment! The above formula for how to figure out your protein needs is what some of the finest experts in the community recommend. But I have to admit that I don't use this formula in my daily life. Neither does my husband. Nor thousands of other healthy Vegans all across the land. Because it's now becoming a well-known and accepted fact that as long as you eat a well-balanced diet, your protein needs will EASILY be met. Still, it's fun to figure out what YOU personally need. Now that you have a good idea of which protein-rich foods to add to your diet, and how much protein you actually need, how will you use this information in your daily meal planning? you have arrived at your daily protein goal. And be sure to include a big salad with your dinner -- sprinkled with 2 Tablespoons of ground seeds such as pumpkin, sesame, or sunflower (average 8 grams of protein). Fruit -- on average, 1 cup = 1 gram of protein. 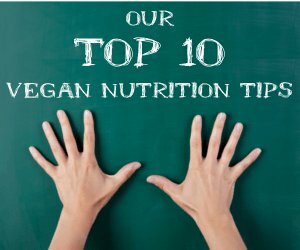 To view a solid list of vegan foods and their protein content, please visit the Vegetarian Resource Group (VRG) which is listed in the USDA Protein and Amino Acids Library. VRG is fantastic -- the work they do for the vegan population (current and future!) is tireless. They are amaaaaazing. Remember, everything in this article will help you build a solid foundation of which foods with protein should become a part of your plant-strong diet. And armed with this information, you'll easily be able to create a daily menu plan that helps you to meet your recommended amount of protein. And slowly (but surely!) you'll find yourself preparing your meals without a thought as it all begins to come together naturally for you. What you'll come to realize is that as long as you eat a balanced diet with lots of different veggies, fruits, beans, grains, organic soy foods, nuts and seeds -- and allow these healthy foods to squeeze out any of the pre-packaged and overly processed foods that line our grocery store shelves -- that eating a healthy 100% vegetarian diet can be easy and deliciously fun. "I find new and interesting info and ideas on your site everyday.....thank you!!! You are helping me learn so much about the vegan diet I adopted only 4 months ago. Your info is wonderful and I am so thankful to have you and your website as such a trustworthy reference!" Monthly cooking tips and inspiration! We have a strict no-spam policy. The information contained in this site is original and protected by Digital Millennium Copyright Act. Please do not copy any part of this site without our express written consent. Thank you!